At the end of this month, I will travel to Berlin, Germany to begin a semester of German language studies. To my slight discomfort, I am unsure on when I will return to the United States – it could be June, July, or even August, depending on my course choices and internship opportunities. Nonetheless, returning during the summer means one thing: I will not walk across the stage for my graduation during May 2013 to receive my diploma. My family has accepted my deprivation of ceremonial formalities with understanding and support (partly because they are certain that I will continue my academic studies and provide them with more opportunities to see me “graduate.”) Another factor in their acceptance is the fact that, in my family, undergraduate education is an expectation. Both of my parents have undergraduate degrees. All four of my grandparents attended college and three of them obtained degrees. When I start going back further generations in my family’s history, countless of my direct ancestors (including a few women) received high levels of education. After having covered the Vietnam War in one of my academic courses last semester, I did not want to read a book which discussed the war. Based on my childhood experiences with the Vietnamese community, I knew that there was a more diverse and complex story to be told. 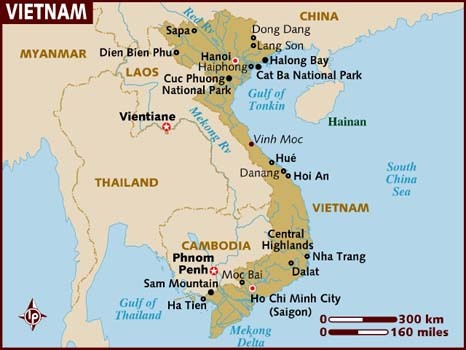 However, the country of Vietnam constantly seemed to arise in my studies and interests. For example, both Hanoi and Ho Chi Minh City boast opera houses – remnants of French colonial rule. Moreover, I was surprised a few years ago to Google myself, only to discover that I was the subject of an article of a popular Vietnamese magazine. 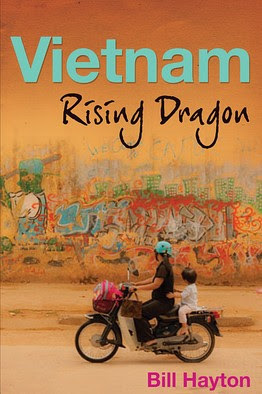 I finally decided upon Bill Hayton’s “Vietnam: Rising Dragon,” a book which discusses Vietnam as a rising power, as well as the challenges it faces in the upcoming years. Interesting post. It is amazing to see how these officials separate in their policy agenda economic liberalization from political freedom. There was a time were it was widely believed that the former had to be avoided in order to maintain a grip on the latter. Now, with China leading the way, the paradigma seems to have broken: More economic freedom will not lead to increased demand for political freedom. This is far from settled.